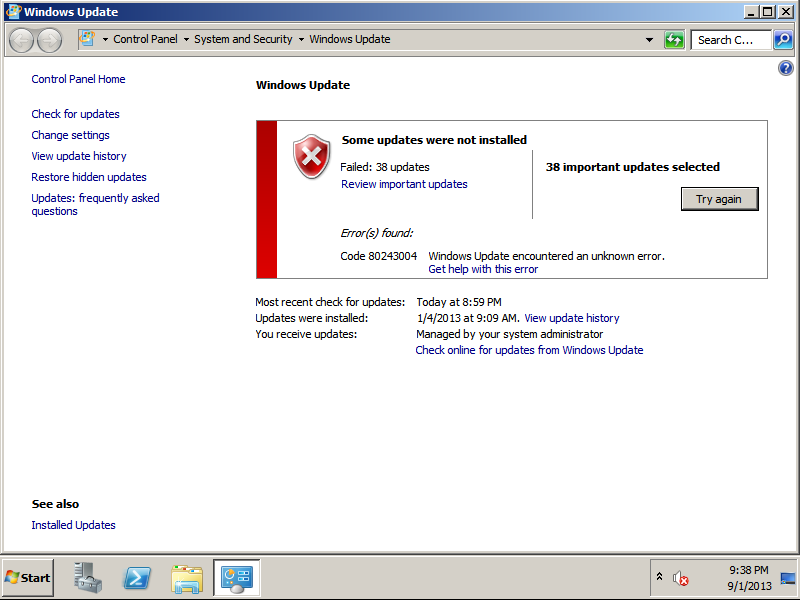 Code 80243004 – Windows Update encountered an unknown error. Click the Customize… button on the Taskbar and Start Menu Properties window. On the Notification Area Icons window, make sure Always show all icons and notifications on the taskbar is checked and click OK.
At this point, try running Windows Update again and the updates should begin to install properly. Not sure why this fixes the issue, but it worked for me on a couple of virtual machines running in a VMware environment. An additional thing I noticed is you can see the tray has “null icons”, where they are blanks of open applications; once you hover over them, they disappear/close. 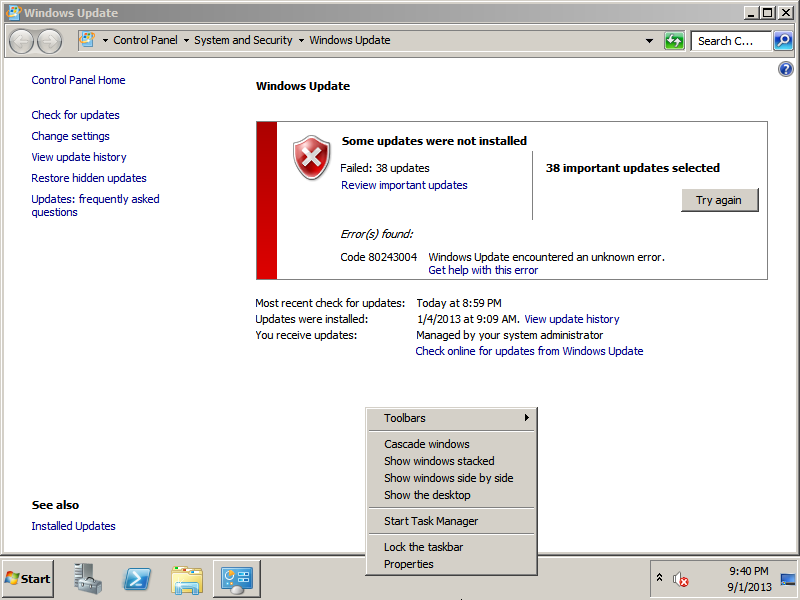 Not sure if this is a bug with Windows and VMware VMs, but just thought it was a weird coincidence. If you have had this same issue, could you please drop a comment below stating whether or not you received the same issue in a virtual environment? 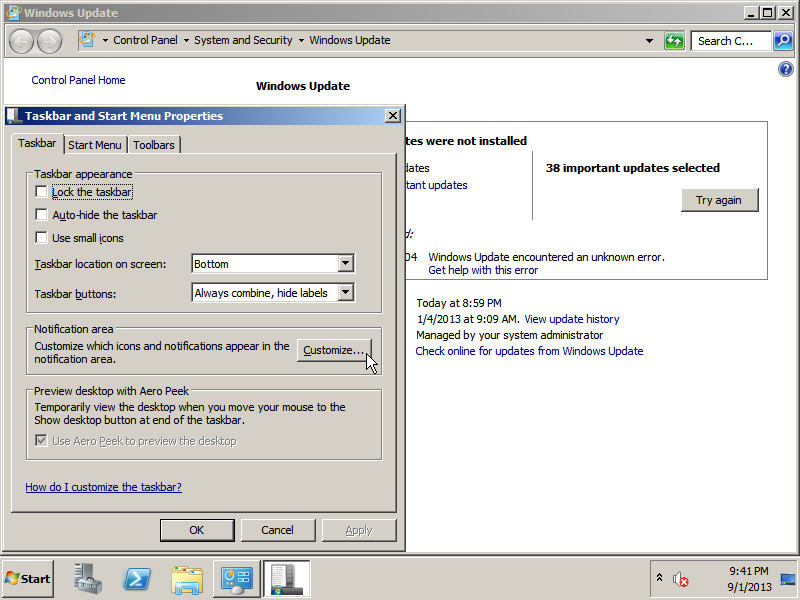 This entry was posted in Uncategorized and tagged Code 80243004, unknown error, windows update on September 3, 2013 by Jack.